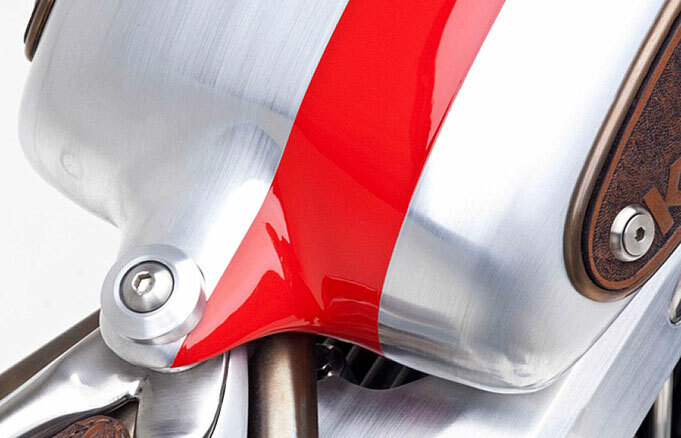 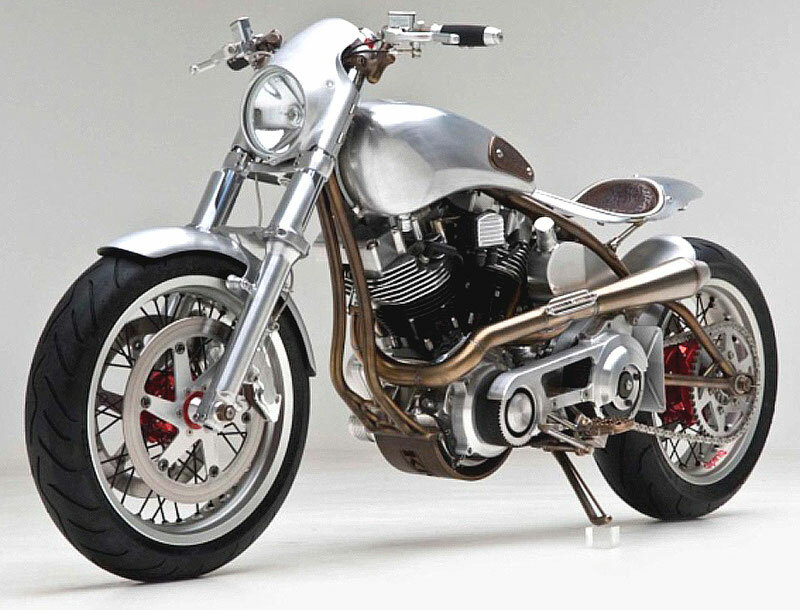 According to Satya Kraus the ‘Bolide’ (which finished third in the 2011 AMD world championship of custombike building) was designed in the spirit of the Tourist Trophy, and was engineered to be a road ready high performance machine. 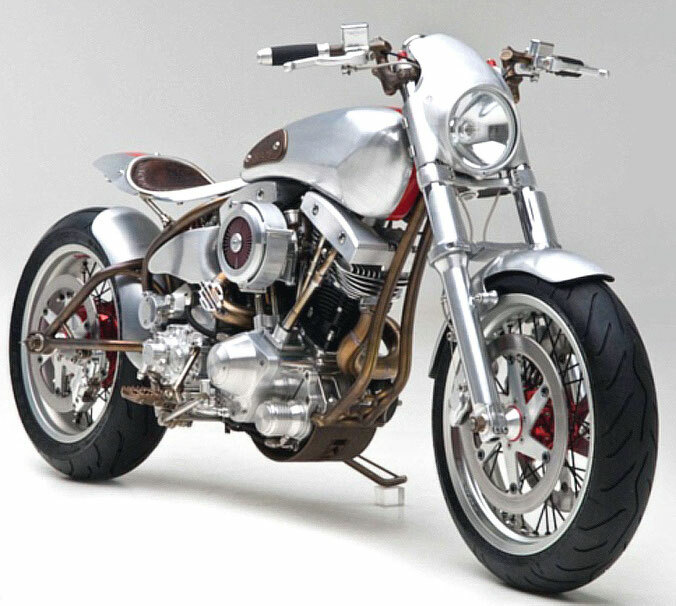 Everything (but the motor) has been hand fabricated by Kraus Motor Co.
Satya sums up this bike perfectly : "Bolide has a classic look, top of the line performance components, and a raw metal finish. 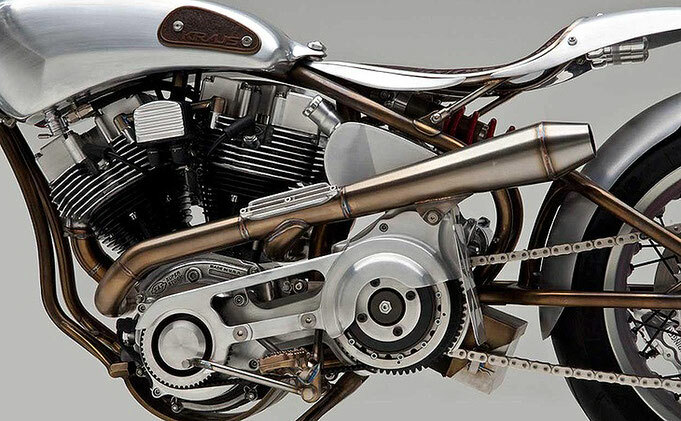 It has everything you need and nothing you don’t."